Have you ever lost something precious? Do you remember how that feels? You walk around in a daze as depression sets in and you begin to lose taste for almost everything. Would you recognize the harmony of music that you haven’t heard in a while? Would you recognize hip hop if you heard her from a distance? For a while, hip hop has been taking a slow walk to the grave in the Nigerian music scene. The air waves has been filled with all sorts that have only one distinct theme. It would appear that the hip hop heavy weights have all gone to sleep…well, all but one if you LOOK hard enough. 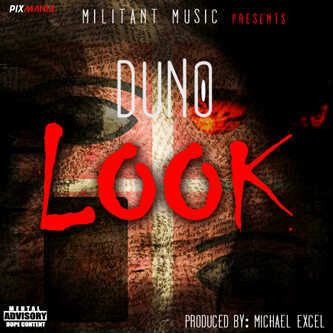 Duno needs no introduction in the Nigerian music scene as he has been at it for donkey years. Here’s a man not driven or corrupted by the glamour that comes with the industry but is fueled by nothing but love for the art. LOOK is a classic work of art that any hip hop head worth his/her salt would be proud of. From the fast paced base line, to the alchemic flow and the quick burst and depth of knowledge, Duno has once again presented ear candy for hip hop lovers as he invites all to take a break from the rat race and LOOK. Y’all know how I do. If its on Malcolm’s Blog, then you know without the slightest shred of doubt that its good. Trust me, its not just the song. The video is worth the LOOK!